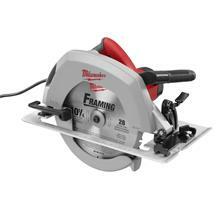 At 90 degrees the maximum depth of cut is 3.5". So deep enough to cut a 4" x 4". * Please call us for any questions on our 10 inch circular saw rentals in Calgary, Alberta.